In 1994, we were among the first in our industry to be awarded ISO 9000 certification. We continued our journey always and steadfastly working on quality, at every stage of the Samo business process. From the choice of suppliers to the search for new technologies and new materials, from the development of innovative projects through state-of-the-art production processes to customer service and support: the Samo quality brand is a firm point of reference and a solid guarantee in the entire production chain, which yields reliable, durable and exclusive end results. StarClean, only by Samo—the company has implemented this exclusive treatment in its production process, optimizing the quality and price of its products. StarClean is specifically for shower cabin windows—it acts on the silicon molecules contained in the glass. StarClean is water repellent—when applied to both surfaces of a panel, the water simply slides off, making cleaning much simpler and more effective; by simply drying it off immediately after use, the possibility of streaking and staining is eliminated. StarClean is anti-limestone—when the water slides off, it greatly reduces the formation of limescale, and any remaining traces are easily removed as they no longer adhere to the surfaces of the glass. StarClean is scratch resistant and makes glass more impact resistant. StarClean adds shine to glass surfaces. 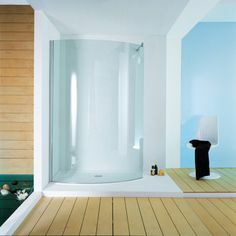 StarClean is already included in many shower-cabin series. However, Samo still offers StarClean as an option with other product series. StarClean is trademark customizable. Trademarks become visible only during shower cabin use.